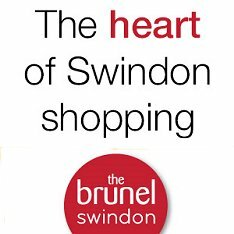 Life in Swindon won't be quite the same without regular visitors to our skies; two in particular coming to mind. For nearly fifty years hardly a day hasn't gone past without at least one RAF Hercules (affectionately nicknamed 'Fat Albert') and, until 2003, a British Airways Concorde (call sign 'Speedbird') buzzing us. But that all changed when British Airways decided to retire Concorde from commercial service after its last flight on 24 October 2003, and confirmation that RAF Lyneham - home of the Royal Air Force's Hercules fleet - will officially close as an operational base in September. 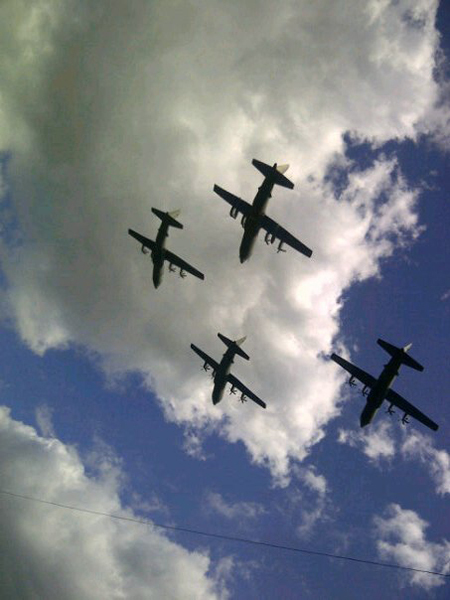 The last fly-by of Hercules over Swindon took place on Friday 01 July as a farewell. In recognition, we pay tribute to these two familiar former friends. One of the peculiarities of Concorde is that most people never refer to "a Concorde" but rather just "Concorde" as if there were only one. In fact, there were 14 in service - seven with British Airways and seven with Air France - but it is as if we cannot bring ourselves to believe that such a special plane isn't a one-off. It is true that there is no other plane quite like Concorde. It was the only supersonic passenger airline and easily the most beautiful jet yet made. 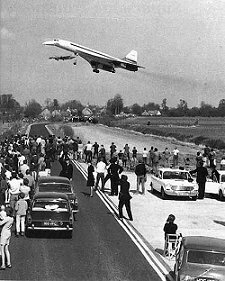 And even when it left Fairford for the last time, Concorde - or rather a Concorde - still came back almost every day as Swindon was on its regular flight path from Heathrow to the United States. Indeed, many of us will probably remember stopping what we were doing on a summer evening, when the familiar roar of its engines announces its arrival, only to look up to see it darting through the sky, high above. 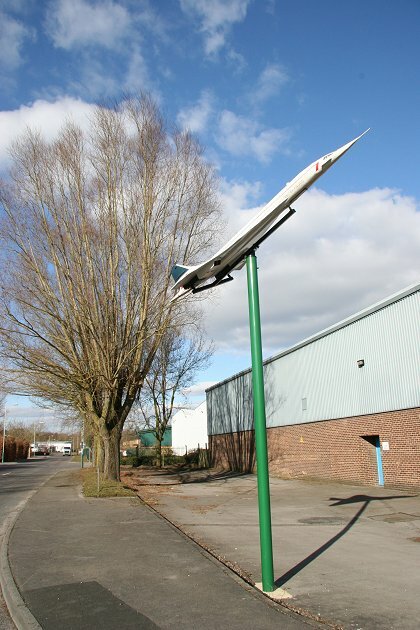 Though they always seemed to be speeding over Swindon, Concordes actually travelled relatively slowly. They were not permitted to fly supersonic over land and as they passed over us, bound for either New York or Washington, they only travelled at around 600mph (960kph) at a height of 28,000ft (8.5km). It was not until it reached south of Swansea that the plane climbed to its cruising altitude of 55,000ft (16.7km) and twice the speed of sound or 'Mach 2' (1336mph (2138kph)). That's 1961ft (594m) per second. It is still classed as a remarkable aircraft - and one that Swindon can feel proud to have played a big part in. Concorde finall made its last flight on Friday 24 October 2004 before being withdrawn from service - 34 years after the first one flew over us and 27 years after first going into service. That's not bad for an aircraft which an American study once concluded would have a lifespan of just seven years. With a maximum altitude of over 63,000ft (19km), Concordes are the only passenger airlines able to fly above storms. Because of the friction of the air at Mach 2, a Concorde's nose heats to 130 degrees C (266 F) and the aircraft can stretch by up to 24cm (9.44in). Concordes departing and arriving at Heathrow have special priorities over other aircraft. It is common for the planes to jump the queue of others awaiting take-off and they always use west-facing runways so that they do not waste time turning on to the correct heading after take-off. When returning, Concordes are usually not required to follow conventional routes and procedures governing descents. A Concorde made the fastest crossing of the Atlantic from New York to London, completing the journey in 2 hours, 54 minutes and 45 seconds. Concordes have a capacity of just 100 passengers and 1,300 lbs (0.59 tonnes) of cargo. Concordes usually fly twice a day from Heathrow to New York - departing late morning and early evening. The usual scheduled travelling time (3 hours and 40 mins) allows passengers to arrive in New York at an earlier local time than they left London. In comparison, the usual travelling time from London to New York by Boeing 747 is 7 hours and 30 minutes. Concordes follow conventional traffic lanes until they reach RAF Lyneham and then divert to the 'acceleration point', south of Swansea. From Lyneham onwards they have their own special track, called 'Sierra Mike' westbound and 'Sierra November' eastbound. Take-off on Concordes takes about 24 seconds and the aircraft are travelling at around 250mph (400kph) when they become airborne. A Concorde set the record for the fastest flight around the globe (New York-New York) on August 16, 1995. Chartered by Donald L Pevsner, an American lawyer "in love with Concorde", it completed the trip in 31 hours and 27 minutes. Over 4,000,000 passengers have travelled by Concorde. 'Fat Albert' is now nearly 50 years old - and it is small wonder that Swindon folk always looked on him as one of the family. It is a nickname that local people use with some affection when talking of the C-130 Lockheed Hercules, a common sight in the skies over Swindon from their base at RAF Lyneham for nearly 50 years. Even though a day hardly seemed to go by without at least one Fat Albert swooping over the town, there are probably more of them than you might think. RAF Lyneham was home to no less than 61 of them at one point - which is almost all of the Fat Alberts flying RAF colours - and the base was until 2011 operational for 24 hours a day and 365 days a year. Since 2001 they have seen active service in the Gulf, where they have been invaluable in transporting troops and equipment to and from Afganistan and Iraq. Most unfortunately too often flying home victims of the conflict (see links below). It's hard to believe, the first Fat Albert rolled off the production line in 1955 and are still the world's most popular transport aircraft. Their appeal lying in their tremendous versatility. The USAF has highly effective gunship versions called Spectres and if you replace a Fat Albert's undercarriage wheels with skis he will gladly land on ice in Antartica. But Fat Albert has earned himself and the RAF as much respect for work during peacetime as for military roles. He has proved a welcome sight for many Third World countries as he flies in to drop aid - and will surely always remain a welcome sight in the skies above Swindon, too. Fat Alberts are 97ft (29m) long, but their wingspan is even greater - 132 feet (40m). They stand 38ft (11m) high. paratroops, or 97 stretcher cases. There are 690 operational buildings at RAF Lyneham and 1,000 married quarters. Fat Alberts have a maximum cruising speed of 374mph (602kph). RAF Lyneham uses 12 million gallons of aviation fuel a year. Fat Alberts have a range of 2,356 miles (3,791km) with a maximum payload and have a ceiling of 42,900ft (13km). An average of 38 sorties are flown from RAF Lyneham in a typical day. Fat Alberts carry around 150,000 passengers a year. RAF Lyneham once had over 3,000 service and civilian personnel.